Our vision is to continue the expansion and development of our facilities, while continuing the promotion of football within Logan City by providing the highest quality development for all players, officials and volunteers. 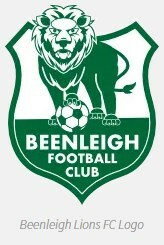 In late 2011, the committees of both Loganholme FC and Beenleigh FC agreed that the best course of action for the betterment of football in the area was for the two clubs to join forces under a united banner. This decision was instigated by the new Brisbane Premier League (BPL) announced by Football Brisbane and Loganholme’s lack of space to accommodate its existing member base. A joint venture that covered only Senior football, was put in place for 2012 season under the Logan Lightning FC banner. Season 2012 proved to be extremely successful. 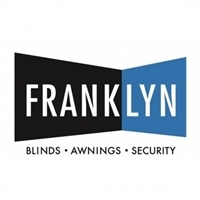 While Beenleigh has a long history of competing in the XXXX League and Division 1, it was the first time Loganholme had competed in the Senior's at such a high level. Despite the challenges of integrating two squads into one, the side made it to the Division 1 grand final. The success of the 2012 Senior joint venture made it obvious to everyone involved that the relationship needed to be made permanent. Add to this the successful application of Logan Lightning FC for the BPL, the decision was a real no brainier. 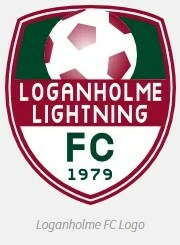 In December 2013, on the back of an extremely successful BPL campaign which saw the club win the Junior Club Championship and compete in the final of the Canale Cup, the relationship between Loganhomle FC and Beenleigh FC was made official with the clubs joining together to form Logan Lightning FC. Logan Lightning FC wants to be a force in Queensland Football while providing the opportunity for players of all skill levels to compete. The club will always strive to compete at the highest level possible, providing a pathway for elite players. Logan Lightning FC caters for players competing as young as 4 all the way up to our in-house over-35s competition. We have senior men's players competing in the QPL (Football Queensland) second highest tier competition in Queensland, with senior women in the NPL (Football Queensland) the highest competition in Queensland. Others playing in the City League (Football Brisbane) & socially in the lower divisional competitions. Our purpose is to grow football in the Logan region, and provide a pathway for all players of all ability.